Amazon.com description: Product Description: This SpringerBrief provides state-of-the-art technical reviews on self-organizing and optimization in 5G systems. It covers the latest research results from physical-layer channel modeling to software defined network (SDN) architecture. 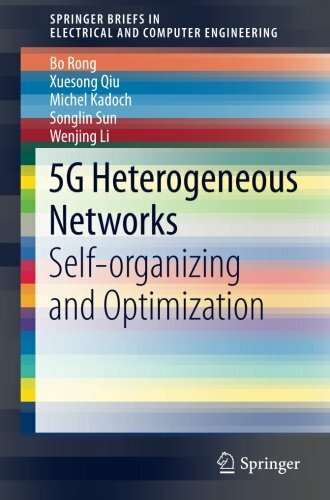 This book focuses on the cutting-edge wireless technologies such as heterogeneous networks (HetNets), self-organizing network (SON), smart low power node (LPN), 3D-MIMO, and more. It will help researchers from both the academic and industrial worlds to better understand the technical momentum of 5G key technologies.